Scuba divers get to experience a part of the world very few of us ever get to see. If you take the plunge and get certified, there are a few more things you’ll need to get before you can start exploring the depths. While you can rent a lot of scuba essentials from any dive shop of excursion company, there are a few things you’ll be better off getting for yourself. 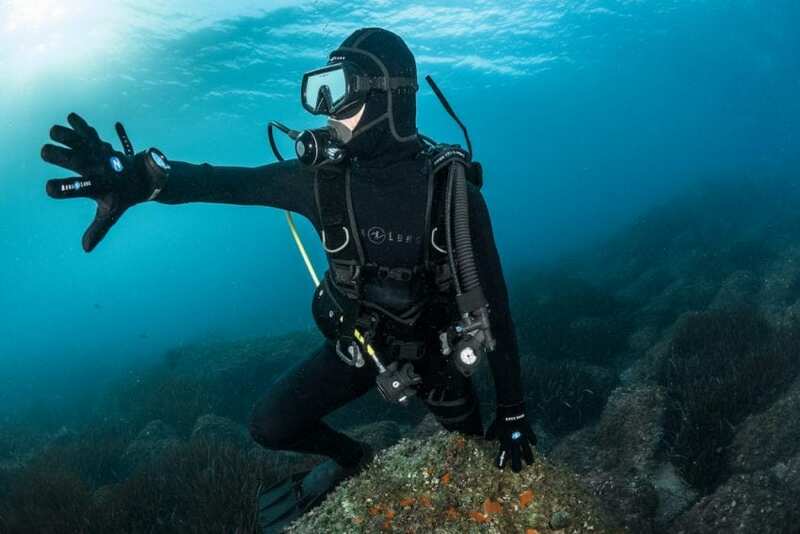 Here are a few pieces of must-have scuba gear every new diver should own. It doesn’t matter whether you’re getting your feet wet for the first time or you’re a dive master you should never ever, ever dive without a buddy. Scuba is an inherently dangerous sport. When you dive, you’re attempting to hang out in a place where humans are not meant to be — which can spell grave danger. If you don’t have a buddy to go on trips with you, check out your local dive shop. 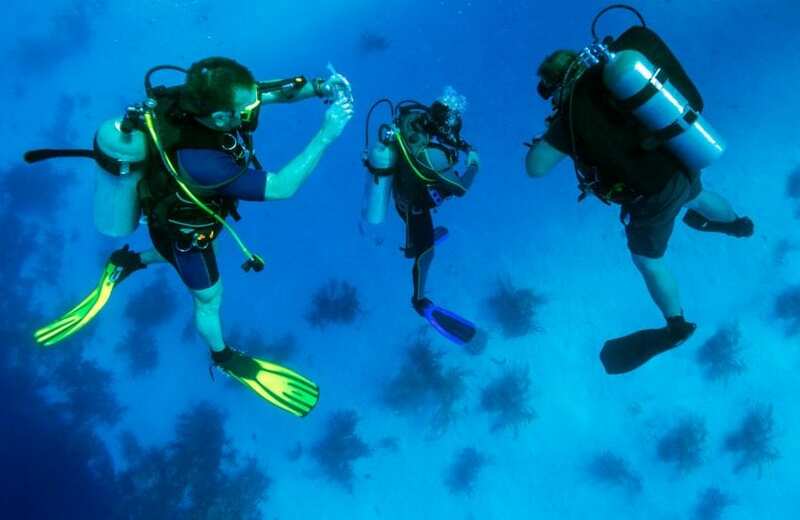 Most shops offer excursions where divers can meet up and take to the water. It doesn’t matter how you find someone to dive with, as long as you never try to dive alone. Your mask is your most basic and essential piece of actual diving equipment. After all, the goal of scuba is to witness and explore the world beneath the waves. And, you can’t do that if you can’t see. Your mask is essential to your diving career, so it should be the first piece of equipment you pick up. And, while you can find dive masks at pretty much any sporting goods store, you shouldn’t grab the first one you see. Aside from fitting well, you should look for a mask that offers peripheral-siding. The glass on these masks wraps around the side, allowing you access to more of your field of vision. You should also look for a mask that has the right and left eye fields connected. You’ll want to be able to see as much as you can while you’re down there and choosing the mask with the most unobstructed viewing area will help you do that. 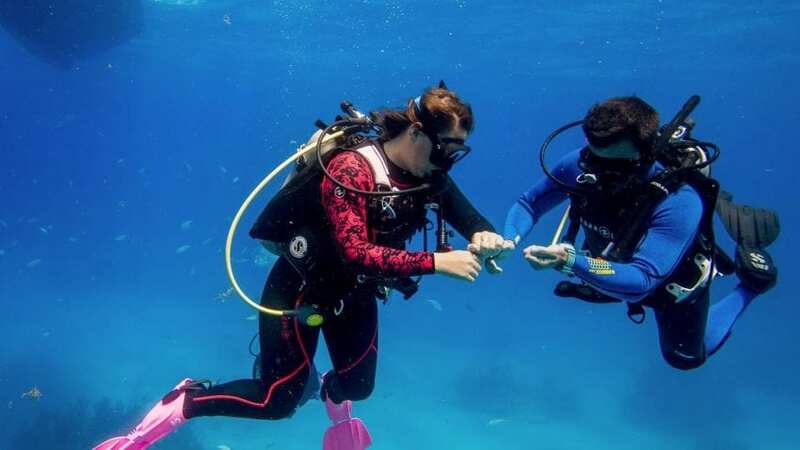 If you’ve gotten or are getting dive certified, you’re probably planning going scuba diving not snorkeling. And while people don’t usually associate the snorkel with scuba, it’s still an essential piece of scuba equipment. 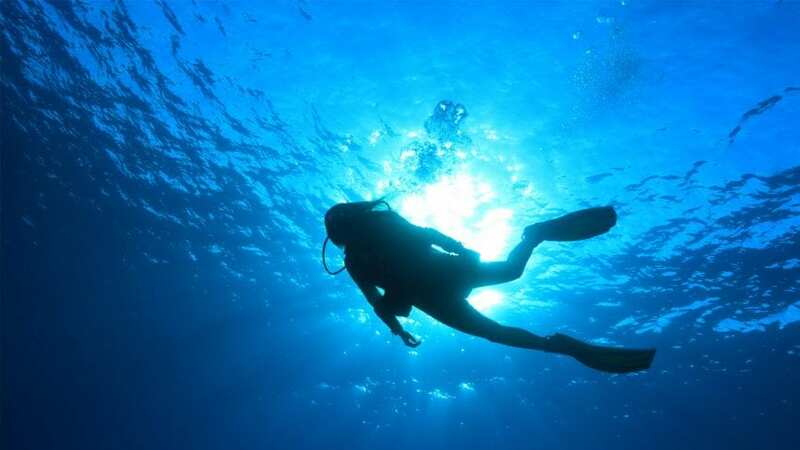 During a dive, you’ll likely end up spending more time at the surface than you would initially think. Whether you’re waiting on your group to get in the water or you come up too far from the boat, your snorkel will help you keep breathing. Your regulator is the apparatus that connects to your tank and allows you to breathe underwater. Without it, there can be no actual scuba diving. You may want to look at pricy regulators that come with fancy digital displays and a bunch of unnecessary bells and whistles. But when it comes to regulators the simpler the better. The basics of a regulator include your primary second stage, inflator hose, and octopus. Your regulator should also come with one of your most powerful diving tools: your pressure gauge. The pressure gauge can help you track how deep you are and, more importantly, help you keep tabs on how much air you have left in your tank. Look for a gauge that is easy to read and features an old school dial rather than a digital screen. Some gauges also come with compasses, which are must-haves if you find yourself diving in low-visibility. While scuba is a non-contact sport, you’ll inevitably find yourself in a situation that requires you to get a little handsy. Whether you’ve inadvertently wound up surrounded by jellyfish or pull yourself out of a tight squeeze, you’ll need a good pair of gloves on your side. Especially if you’ve been under long enough for your skin to start pruning. Look for dive gloves that some with a little plating on the palms for extra protection. During your diver certification process, you’ll learn all about the horrors of diving too deep for too long, or coming back up too fast. You’ll also learn that when it comes to avoiding the bends, timing is everything. That said, you can’t bring your phone on a dive with you. So, how are you supposed to track how long you’ve been diving? Dive watches aren’t just bold fashion choices, they’re vital tools divers have been using to track their dives for years. Look for a dive watch that comes with an incremental timer. These kinds of watches make it easy to keep track of your safety stops and will help you get back to the surface safely. While most dive shops and popular excursion spots usually offer suit rentals, they may not always have your preferred size or style in stock. Which is why it’s usually best for you to get a dive suit of your own. When it comes to choosing a good suit the first argument people usually make is wetsuit vs drysuit. Both suits serve a purpose in the world of scuba. 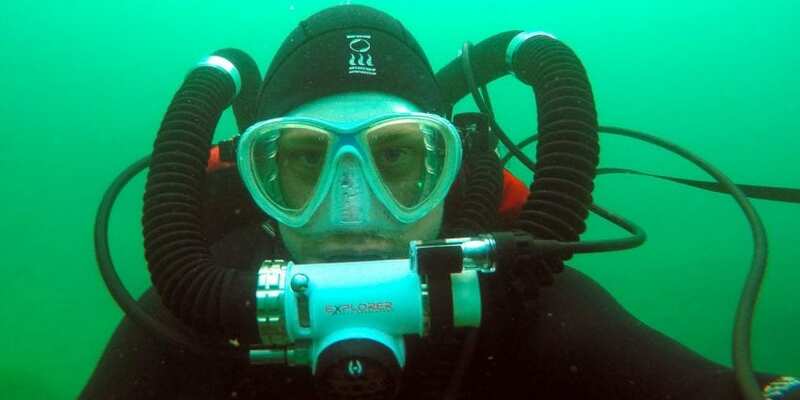 But, as a beginner, you likely won’t be doing a lot of diving that puts you in an environment that requires a drysuit. That said, you will have a few decisions to make when getting a wetsuit, and it all depends on where you see yourself doing the most diving. Depending on your certification, as a beginner, you’re only going to be diving to about 60 feet. And shallower dives generally mean warmer water. A shorty style suit is just what it sounds like — a wetsuit with short legs. While shorties generally also feature short sleeves it is possible to find them with long sleeves if you prefer. 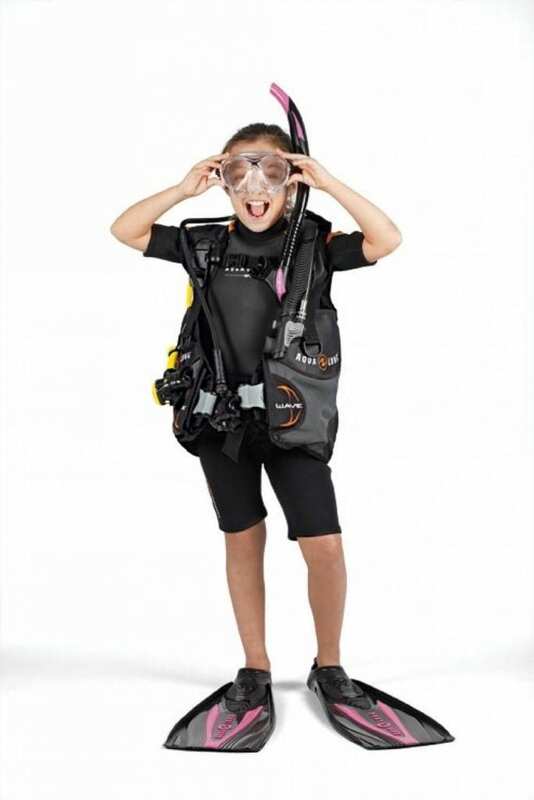 Shorties are also easier to move around in and to take on and off, making them perfect for first-time divers. If you plan on doing a lot of shallow and warm water dives, such as beach dives, a shorty is the best option for you. 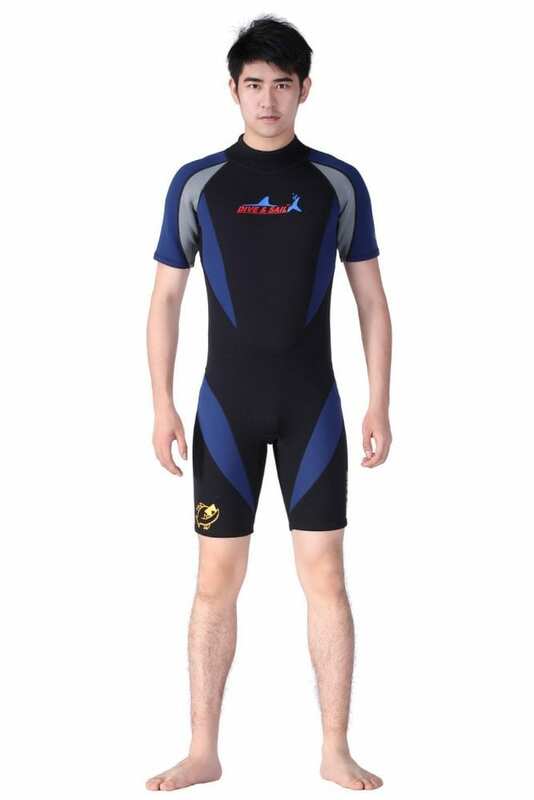 While full-body wetsuits can be a hassle to put on and can be a little uncomfortable, they are the most versatile dive suit available. 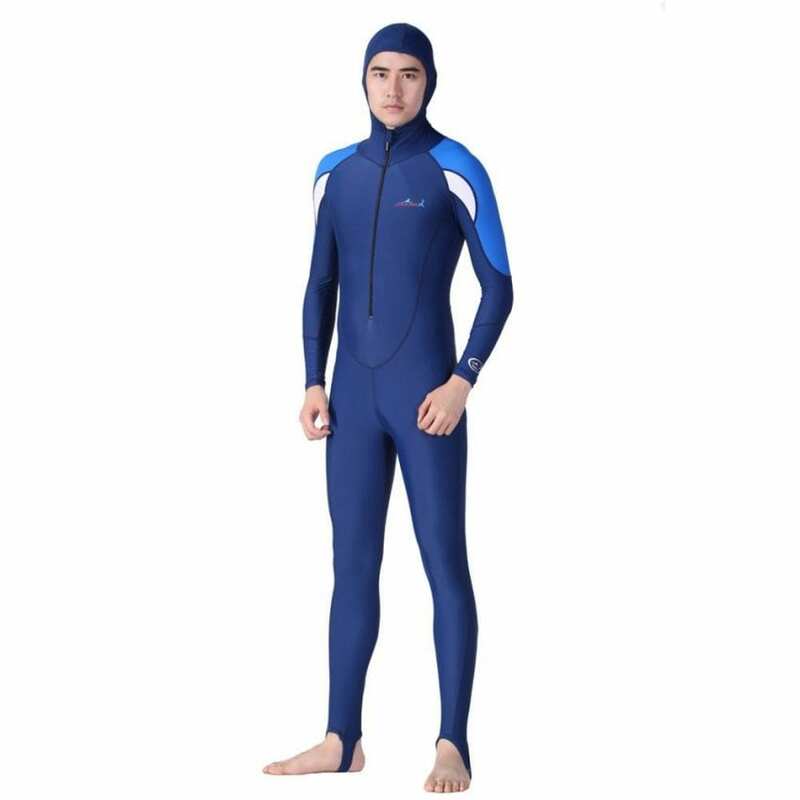 Full-body suits generally offer more protection against hazards such as sharp rocks or jellyfish. A full wetsuit will also keep you comfortable no matter how chilly it gets down there. If you plan on taking full advantage of your depth-restriction and would like to dive in a series of different environments. Finally, any diver worth their sea-salt knows the value of a fog-free mask. 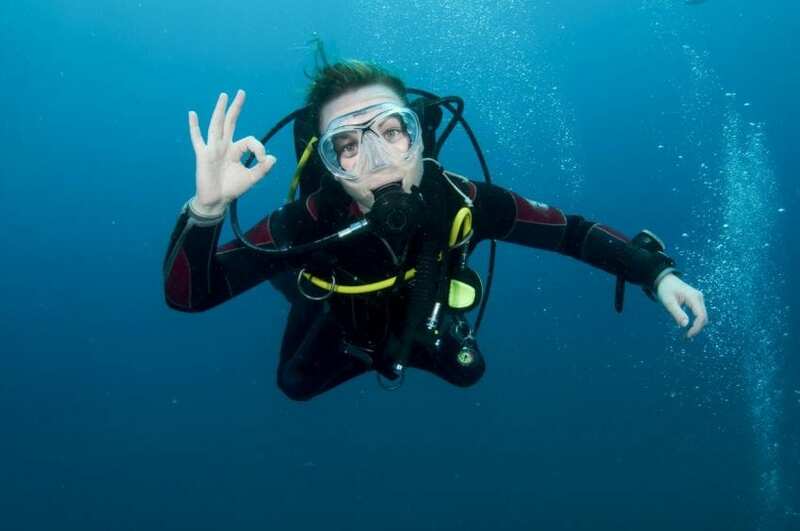 Unfortunately, getting your mask to stay crystal clear while you’re underwater is a task easier said than done. In a pinch, your own saliva can help keep your mask clear. But, investing in a little bottle of “spit” can help make your next dive trip an even more enjoyable experience. When it comes to breathing underwater, there’s no such thing as being too prepared. 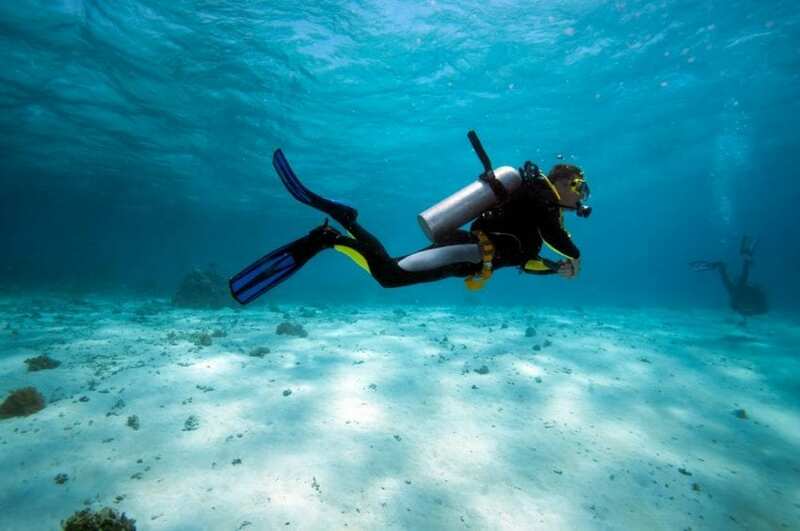 With this scuba gear in your arsenal, you’ll be well on your way to becoming an expert diver. Looking for a few more life tips, tricks, and hacks? Look no further! We have dozens of articles to help you master a new hobby or learn a new skill. Check them out today! 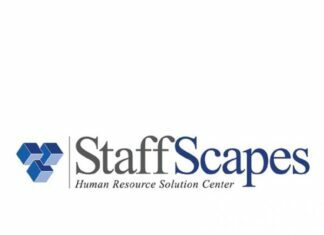 Next articleIs it necessary to take an SEO Training Course?